The Natural Science track offers delegates the opportunity to learn about stem cell biology. The course is composed in two parts and serves to give delegates a comprehensive overview of the field of stem cell biology. The first course looks at aspects of the development of both embryonic stem cells and adult stem cells, while the second part of the course explores the discovery and biology of induced pluripotent stem cells, and the significance of its applications in revolutionising the future of medicine. Delegates are also introduced to cell transdifferentiation, the programming of one cell type into another such as the conversion of a skin cell into neuron. Please note that if you select this track, you can only select courses from this track. You are welcome to extend your stay by combining courses – this track complements the Medicine programme also offered at the Cambridge Summer institute, and the STEM programme offered at the Summer Institute at Oriel College in Oxford. Please note that topics and courses listed may be subject to change. Length Biochemistry courses take place between 04 August – 17 August, 2019. Please note if you select this track, you can only select courses from this track. You are welcome to extend your stay by participating in multiple sessions either in Cambridge or our sister-programme Summer Institute at Oriel College, University of Oxford. Lectures, Exams & Credits Delegates will participate in one course per week. Magdalene College (University of Cambridge, UK) will award for each delegate who successfully graduates from the programme with a Certificate of Attendance and Achievement and an Academic Transcript. Full Board Accommodation Single dormitory room with shared bathroom. Single ensuite room is available for additional 250 GBP each session. The accommodation fee includes breakfast, lunch and dinner Monday to Friday. On weekends only breakfast will be served. Prerequisites This is an open enrolment course, we recommend applicants to have prior knowledge or strong interest in the subject/course they are enrolling in. Additional Information In addition to lectures given, this course also includes various extra-curricular activities such as social events & leisure activities and excursions to famous places and historical landmarks. Learn more about Programme Information. * Academic Programme Particulars: Each session is comprised of two weeks of tuition. * Delegates are welcome to participate in multiple sessions. Each week, students will participate in a course of their choice in their preferred track. * Each track offers courses in one academic discipline. * It is possible for delegates to choose a course that is not in their track. * As the beginning of the programme nears, enrolled delegates will be asked to select their courses. * Delegates will be assigned to courses, subject to availability. While we are able to allocate most students to their preferred courses, on some occasions students will be allocated their second choice. * Delegates are welcome to extend their stay by participanting in multiple sessions either in Oxford or our sister-programme Summer Institute at Oriel College, Oxford. For a typical week at CSI, please click here. *Disclaimer* Changes to the course description, topics, programme structure, and schedules may occur due to the availability of faculty members at the actual time of the programme. The Natural Science programme offered by the Cambridge Summer Institute, is designed for students and young professionals with an interest in Science. The programme offers its participants the opportunity to attend lectures and workshops delivered by esteemed Academics in the field of Science. There is an opportunity to combine courses – this programme complements the Medicine programme also offered at the Cambridge Summer institute, and the STEM programme offered at the Summer Institute at Oriel College in Oxford. 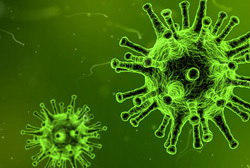 The focus of the programme is on Biochemistry – the study of chemical processes within living organisms, which forms the basis of studies in biology and medicine. 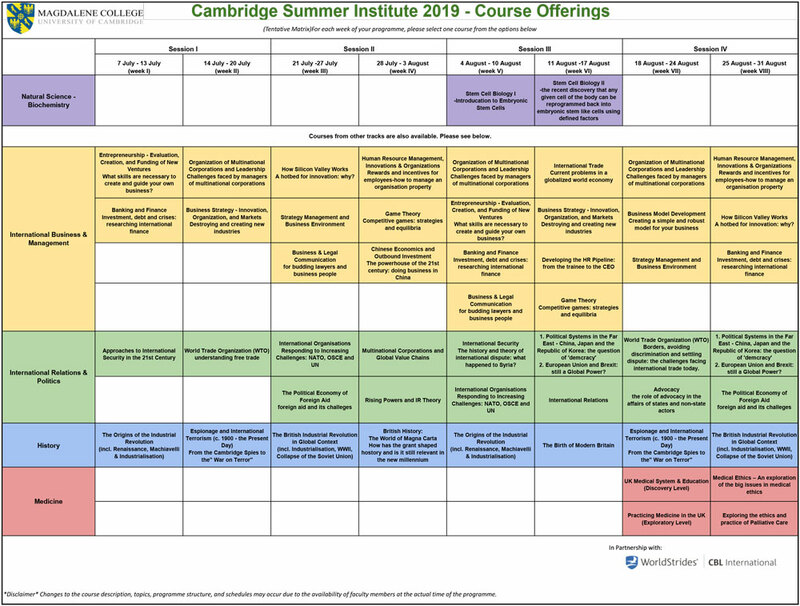 Applying for Cambridge Summer Institute is easy, simply fill out an application form. If you have additional questions, contact our Academic Advisors at apply@cambridgesummerinstitute.com or call them at +44 (0) 1865 236 580. They will gladly guide you through your various options and assist with your booking.